With over 24 years of experience, trust Fence Express as your professional fencing contractor. We serve Fishers and greater Indianapolis with chain link fencing, agricultural fencing, commercial fencing, iron fencing solutions and so much more. 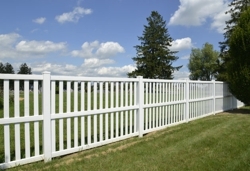 At Fence Express we go above and beyond to provide our customers with quality fencing services. Whether you’re in need of a privacy fence for your pool or chain link fence for your kids play area, allow the experts at Fence Express to get the job done quickly and efficiently. Call (317) 643-7039 now for a quick quote! Copyright © 2018 indianafenceexpress.net All rights reserved.